At no time in history the perversion of the truth has been so extreme. 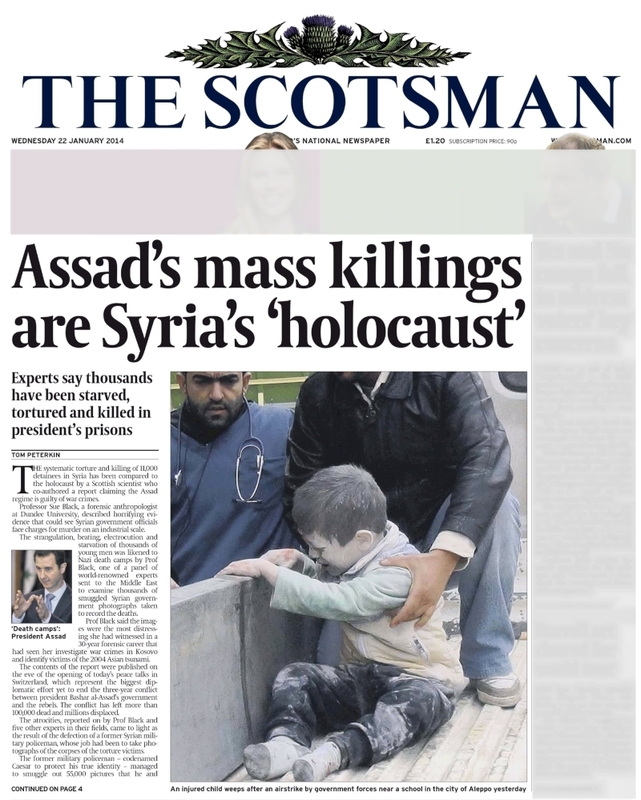 Once the NATO-led genocide on the people of Syria comes to an end, The Guardian and the entire British media establishment must be tried for crimes against humanity. 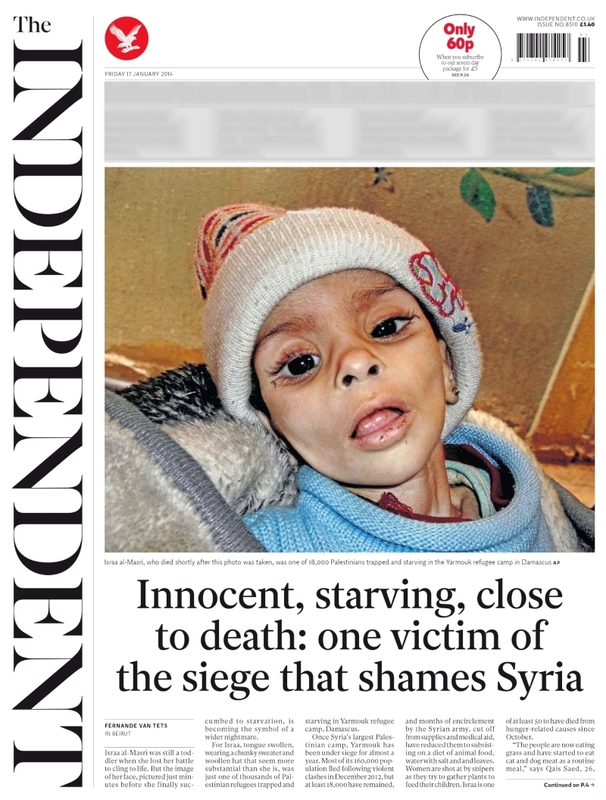 co-authored a report claiming the Assad regime is guilty of war crimes. 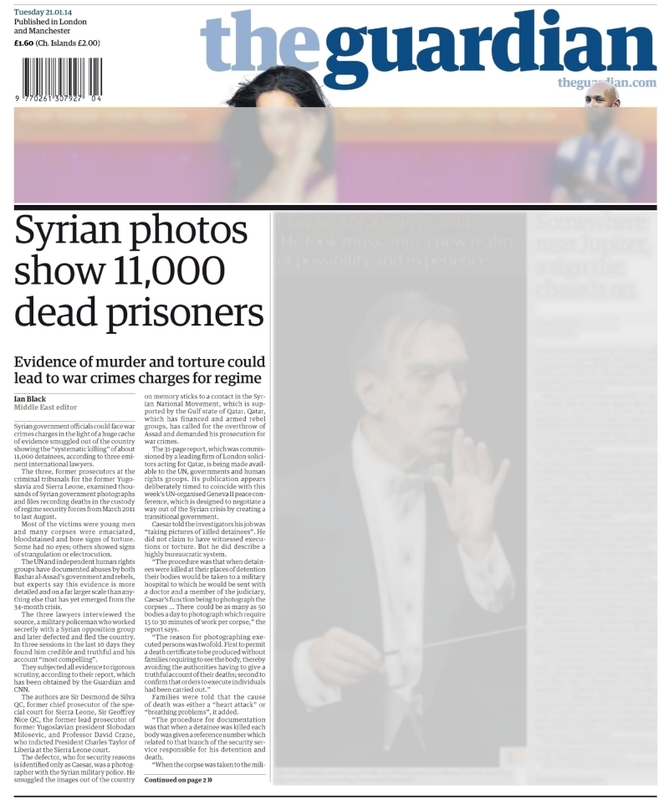 International bodies say evidence of execution of 11,000 detainees in regime jails comes from just one area of Syria. medical aid, reducing them to subsisting on a diet of animal food, water with salt and instant noodles and leaves. 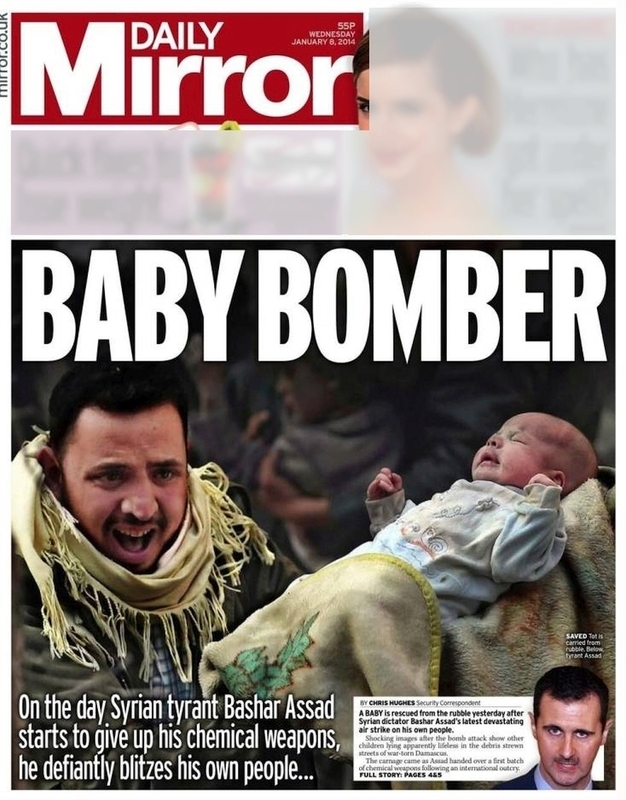 Terrified children were among the victims today as Syrian tyrant Bashar Assad unleashed a new wave of terror from the skies. 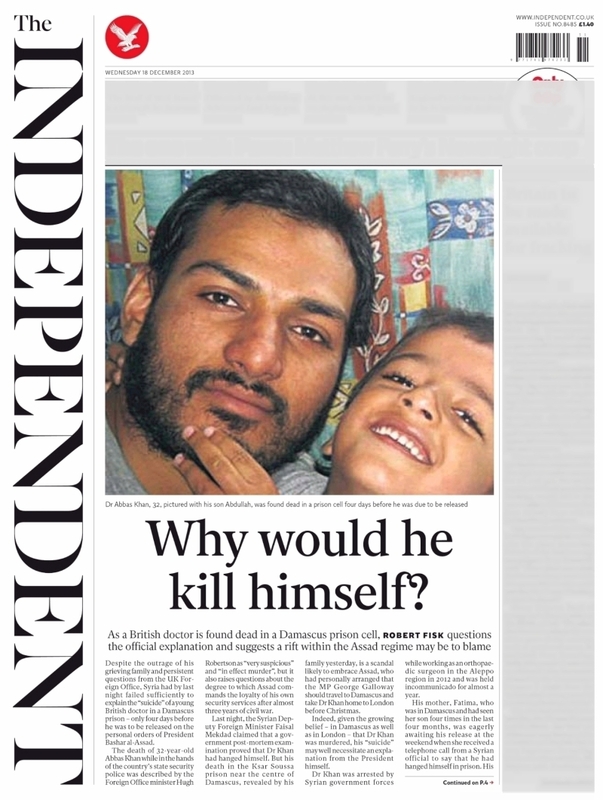 Family deny Syrian security authorities' claims that he committed suicide and demand an explanation. The authors are Sir Desmond de Silva QC, former chief prosecutor of the special court for Sierra Leone, Sir Geoffrey Nice QC, the former lead prosecutor of former Yugoslavian president Slobodan Milosevic, and Professor David Crane, who indicted President Charles Taylor of Liberia at the Sierra Leone court. 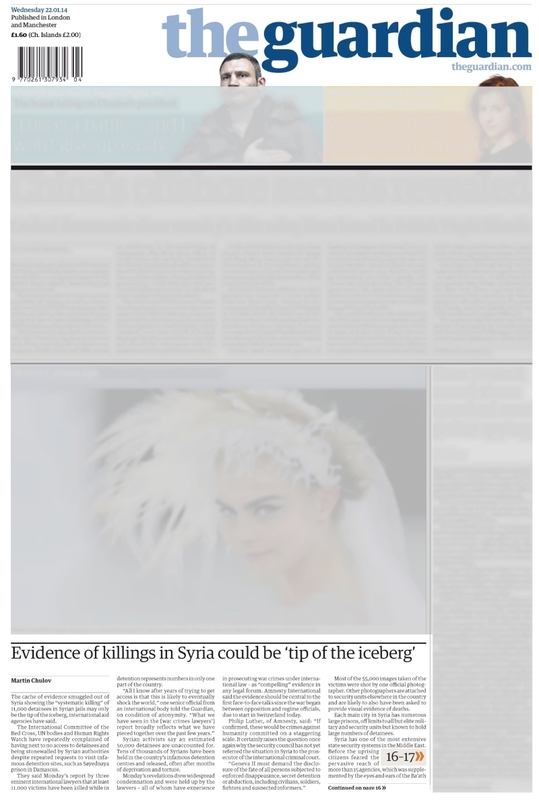 Qatar - chief financier of Al Qaeda in Syria - commissions "report" on atrocities published just ahead of Geneva conference.